We offer a wide range of self storage units for rent in La Plata, MD, so that you can be sure to find the one that fits your needs. 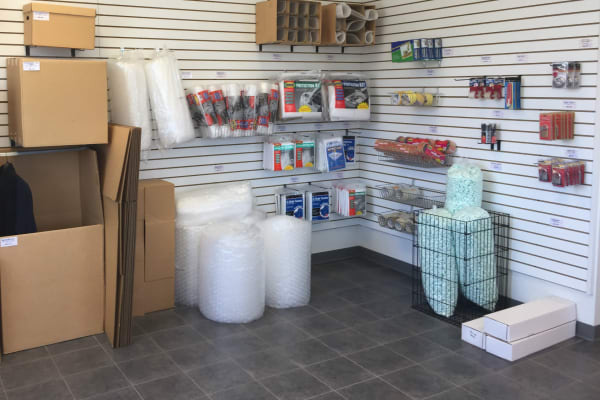 At Self Storage Plus, our team of friendly storage professionals is ready to help you find the perfect storage solution for your unique situation. If you’re only storing a few boxes, our smallest 5’x5’ climate-controlled units are perfect for delicate items, such as artwork or important documents. If you need more storage space, we offer units as large as 15’x30’ drive up storage units that can accommodate the full contents of a multi-bedroom home. Whether you’re searching for just a little space, extensive storage, or anything in between, we can help you find the ideal space for your belongings. No matter which unit you choose, you’ll have electronic gate access 7 days a week from 6AM to 10PM, so you can drop by whenever it fits into your schedule. We also offer online bill pay and month-to-month rental options so you never have to worry about bringing a check down to the office, or be bogged down by long-term commitments. Our management team takes pride in providing the highest level of customer service to our customers, because as a locally owned and operated small business, we understand that service is key. To find the perfect space for your items, call and speak to one of our storage experts today. We look forward to hearing from you. Contact us to find out more about our wide variety of self storage solutions.